The adoption of electric vehicles (EVs) has accelerated as policymakers across the globe pass regulations to reduce emissions of air pollutants, according to the latest analysis by JATO Dynamics. 2017 represents a turning point in the adoption of electric cars, with sales in key regions increasing significantly. The industry is at an important moment in the development of the segment, with the majority of car brands placing various forms of electric vehicles at the heart of their future plans. As countries and cities strive to meet stringent emission targets, they are positioning electric vehicles as a possible route to a cleaner automotive future. Manufacturers are increasing their ranges in response and, as a result, consumers are more aware of the choices available. China’s ever-expanding car market is crucial to the future of the electric vehicle. If EVs become a realistic mainstream choice, a likely contributing factor will be the emphasis the Chinese market has placed on electric vehicle technology. Policymakers in the country are attempting to balance its rocketing demand for cars with the nation’s severe pollution problem. 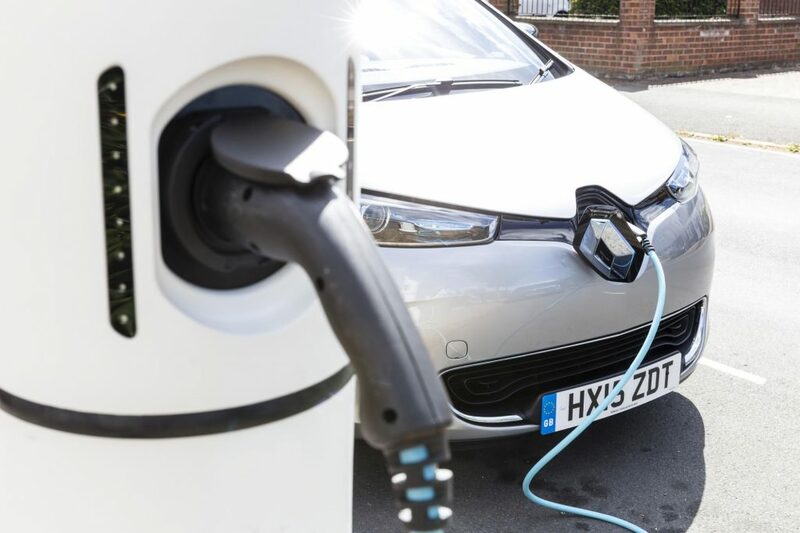 The Government has introduced policies to push EVs, such as car purchase restrictions in large cities and subsidies for domestically produced EVs and PHEVs. In a further development, global manufacturers are now entering the Chinese market, as fully electric vehicles will earn more credits than plug-in hybrids under the country’s new Carbon Credit Program, which will come into effect in 2019. As a result of this focus, Chinese manufacturers have prioritised the development and innovation of domestically produced electric vehicles. Consequently, China is now the biggest market in terms of volume, with 227,000 EVs sold through September. China has quickly taken the top spot as the world’s biggest EV market, rapidly outselling other more advanced markets such as the US and Europe. In comparison, it took decades for the country to outsell them on traditional internal combustion engines. In turn, China’s focus on producing electric vehicles to solve its domestic emissions problem means it has led the way in the development of the technology. The Chinese automotive industry’s resulting leadership in the sector means the nation now has a chance to conquer global markets and rival its western counterparts. This is hugely significant, as internal combustion engines produced by China-based manufacturers have traditionally struggled to compete against western brands that have more experience and heritage in the sector. As a result, six of the top ten electric vehicle brands in key automotive markets through September 2017 are based in China. If the Chinese industry is able to produce EVs that are attractive to global consumers and are appropriately priced, the country’s car industry could certainly increase its share of the global market. In contrast to China, demand for EVs in the USA has slowed down since a peak in 2016. The USA has a legacy of cheap oil and a consumer preference for vehicles with large gasoline engines. This preference is combined with the current administration’s stance on electric vehicles, which is manifesting itself in the proposed Republican bill that would cut tax credits that were introduced to incentivise EV sales. The US population is also more spread out than in other more densely populated markets, meaning issues of range anxiety still persist. The popularity of private taxi app services in the USA’s urban areas has also hindered the adoption of EVs in the nation’s cities. Amidst this climate, the US has experienced a slower rate of electric vehicle adoption when compared to other key markets. Results in the US market have impacted the wider North American region, which is significantly behind Europe in terms of EV adoption. 67,000 electric vehicles were sold in the North American region, a modest increase of 21% on the same period last year. This can be attributed to a reluctance amongst consumers in the hugely significant US market to move away from gasoline vehicles. Comparatively, there were 100,000 EV sales in Europe for the period January to September 2017, an increase of 42% when compared to the same period in 2016. Key markets such as the UK, Germany and France all showed positive growth in the category. The EU recently introduced WLTP, a test procedure that is more representative of real world driving than previous NEDC testing and is one element of a broader drive to tighten emission reduction rules. European nations such as the UK and France are proposing diesel bans as soon as 2040 and, on a local level, cities are taking action to reduce emissions; the UK city of Oxford recently proposed the world’s first no-emission zone. 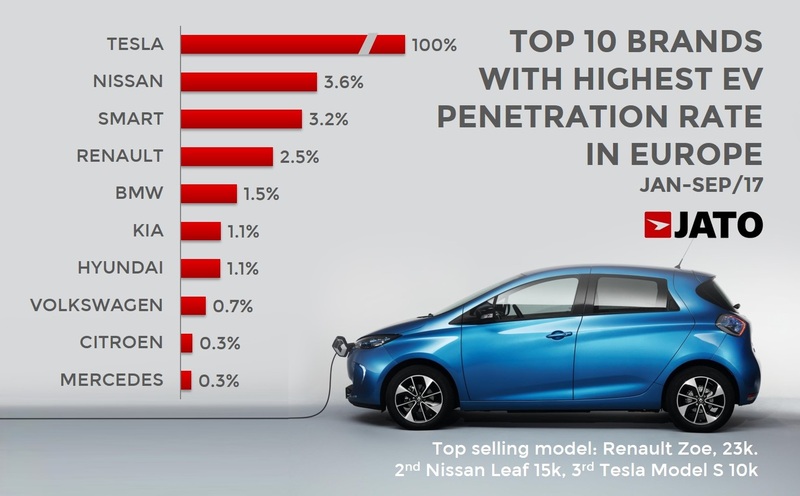 Within this context, it is unsurprising that eight of the top ten countries in terms of EV market penetration from January to September 2017 are European. The success of electric vehicles in Europe is driven by the combination of EU and national regulation, combined with local initiatives. Norway leads the world, with an EV market share of 16.6%, significantly ahead of the Netherlands in second position, where EVs have a market share of 1.4%. Of the biggest markets, France, Germany and the UK have an EV market share of 1.2%, 0.6% and 0.5% respectively. Despite increasing consumer adoption of electric vehicles in the region, the European car industry has been built on the internal combustion engine, and this legacy has hindered electric vehicle innovation. As a result, European manufacturers are yet to establish wide enough EV ranges and consumer choice is limited. Renault, for example, has only two fully electric models, and only one of these, the Zoe, is a passenger car. Likewise, Volkswagen still does not have a dedicated electric vehicle, but instead offers electric versions of its existing models. However, with the fall in demand for diesel engines following the “dieselgate” scandal, and the negative publicity the fuel type has had, the well-established European brands are incentivised to advance electric car innovation and are investing in the technology’s future. “The USA is currently standing out on a global level as its EV adoption rate is significantly behind other major markets in Europe and China. Nonetheless, regulations to penalise emissions are beginning to impact countries, and consumers are increasingly abandoning diesel vehicles following reputational issues and proposed bans. As a result, car manufacturers are prioritising the development of electric vehicles. The decline in diesel sales is a significant opportunity for electric cars to fill this gap. However, there are two key issues. Firstly, ranges in the segment are still limited, particularly in Europe, so consumer choice is not at the level needed for mass adoption. Secondly, consumer fears around driving range and performance still persist. 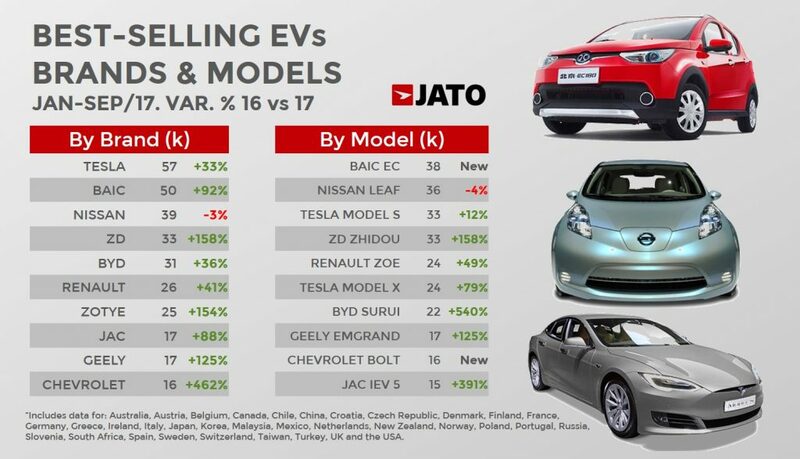 The automotive industry is at a precipice – automotive manufacturers must invest in their electric offerings, whilst investment in infrastructure on a governmental level is needed, to provide the charging points and electrical capacity to cope with the mass adoption of EVs,” commented Felipe Munoz, Global Automotive Analyst at JATO Dynamics. “Key regions” are defined as: Australia, Austria, Belgium, Canada, Chile, China, Croatia, Czech Republic, Denmark, Finland, France, Germany, Greece, Ireland, Italy, Japan, Korea, Malaysia, Mexico, Netherlands, New Zealand, Norway, Poland, Portugal, Russia, Slovenia, South Africa, Spain, Sweden, Switzerland, Taiwan, Turkey, UK and the USA.